To dream by night is to escape your life. To dream by day is to make it happen. Howard Schultz was born on July 19, 1953 in Brooklyn, New York. He did his education in bachelors from Northern Michigan University. He became retail and marketing operations director in 1982. He purchased Starbucks in 1987 and also became the CEO of the chain in the later years. Howard Schultz was also the former owner of the Seattle Supersonics before becoming the CEO of Starbucks. He was ranked as the 354th Richest Man in the US by Forbes in the year 2012. After graduating from the college, he also worked as a sales person for Xerox Corporation. He always remembers the first time he went to the original Starbucks in the year 1981. At that time, the Starbucks did not exist beyond Seattle. After a year, he joined Starbucks as the director of the sales and marketing operations for the coffee company. At that time, the company only sold coffee beans. In a span of a year only, he made Starbucks as the mission of the rest of his life. Then he got an idea that Starbucks should not only sell coffee beans, but also coffee drinks. This idea came while travelling through Milan, Italy. He did not share his idea with the company owners, but when they came to know about the idea, they were not at all convinced and refused to join him. But after the success of the coffee drinks in the company, the owners of the company got frustrated. 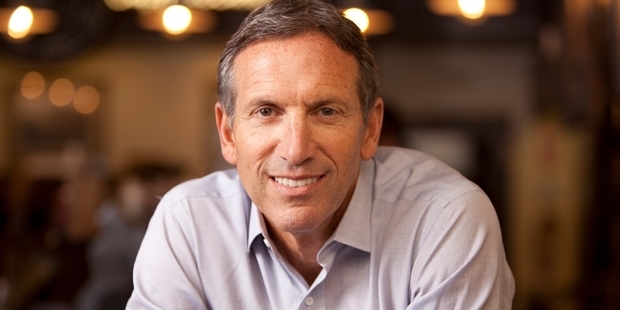 Schultz left the company and started his own chain of coffee bars, called Starbucks. He purchased the company with the help of the investors. He became the CEO of the company and the company got much success as expected. Starbucks is one of the biggest coffee bars to sell large number of coffee drinks in a number of places around the globe. By 2012, there were around 17,600 stores all over the world in around 35 countries. The company opens a new store every day and has always attracted a number of customers towards it. In 2013, Schultz came in news for supporting the legalization of gay marriage. He got a great applause on this from the people. After losing the company’s shares on supporting the gay marriage, he was not at all afraid of anything.